Although the art of styling covers both styling for boys and girls, these two types of events could not be any more different. 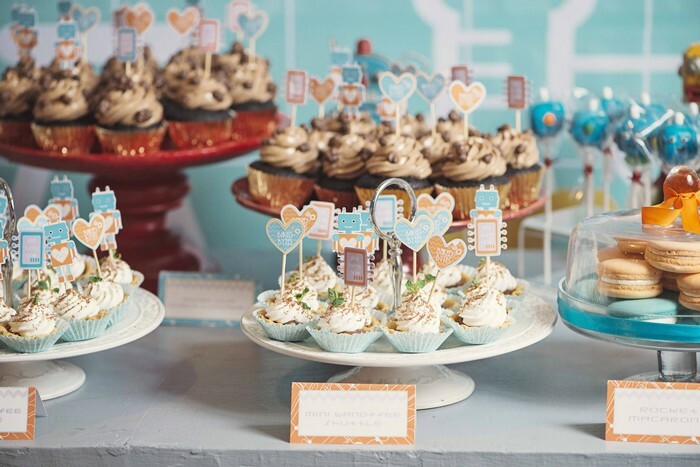 In my experience, styling for girls usually emphasize the general setting or ambiance of the party, whereas styling for boys focuses more on a specific element in the event. 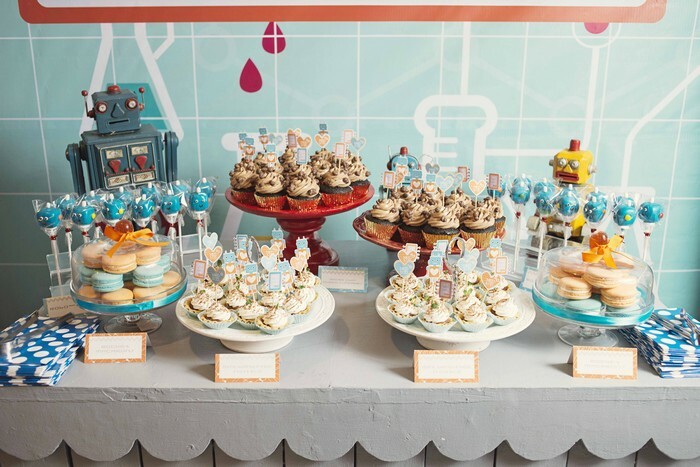 In other words, styling for girls involves creating a beautiful setting based on something grounded in reality (think garden, tea party, baking, candy, ice cream), while styling for boys involves something that is literally out of this world (think monsters, superheroes, robots). This is of course just a general statement and therefore there will always be exceptions to this observation. 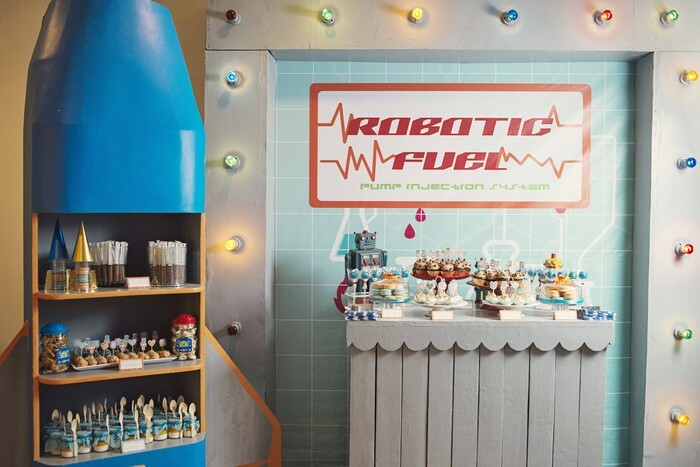 For this particular party, the specific elements were: Robots and Space. 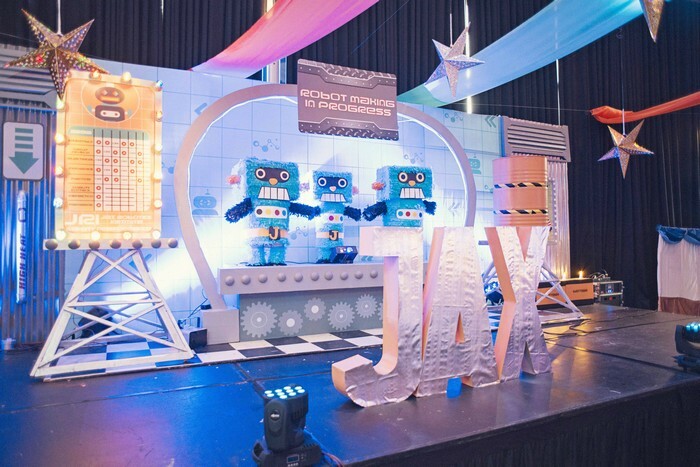 Jiselle, who also happened to be a good friend of mine, only had 1 specific requirement for her son Jax’s most special day: make the ceiling decor extraordinary. 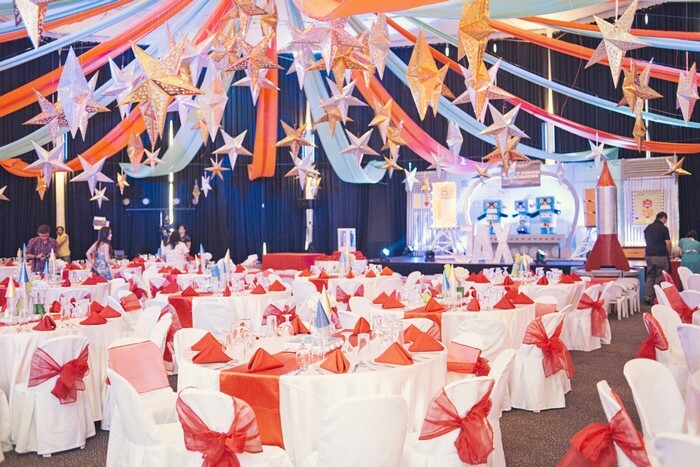 To be different, instead of the usual lanterns, we decided to use gold and silver stars instead, with the center portion of the ceiling containing large 3-feet stars. 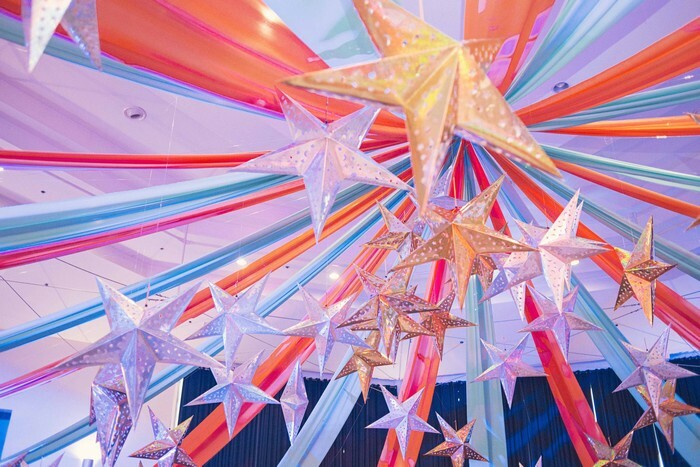 Alternating teal and orange swags were hung in between the stars. 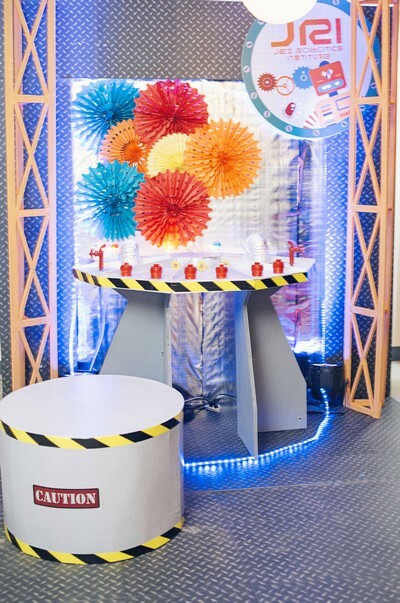 The goal was to make the guests feel as if they are in space. I hope they did! The concept of the stage was a robot factory, with the making of robots in progress. The central portion focuses on a sort of robot platform where all the assembly gets done, while the left and right portions of the stage contain elements that are related to a robot factory: grills, barrels, checklists, pipes, and gears. 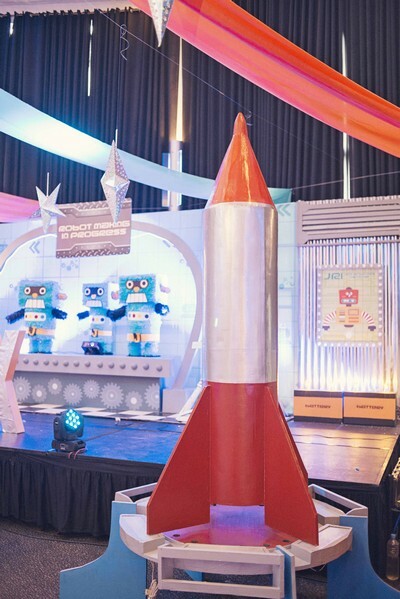 As a side spectacle, we placed a giant rocket ship off to the right side of the stage, ready at any time to blast off and carry our guests off to the heights of imagination! The photo booth is a favorite of mine. 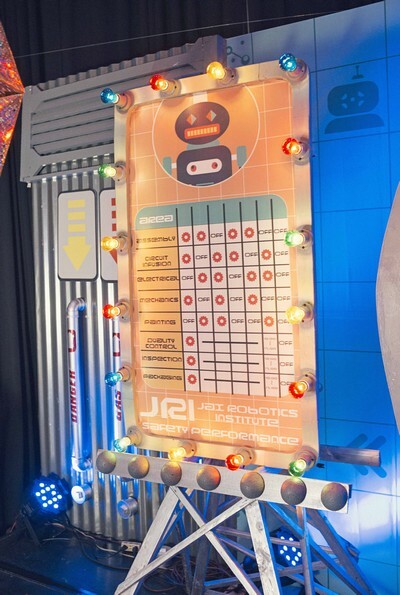 The concept was a sort of control room or bridge of a space station, with a control panel board and decorated with led strip lights to provide some hi-tech luminescence! See the signage on the top right? 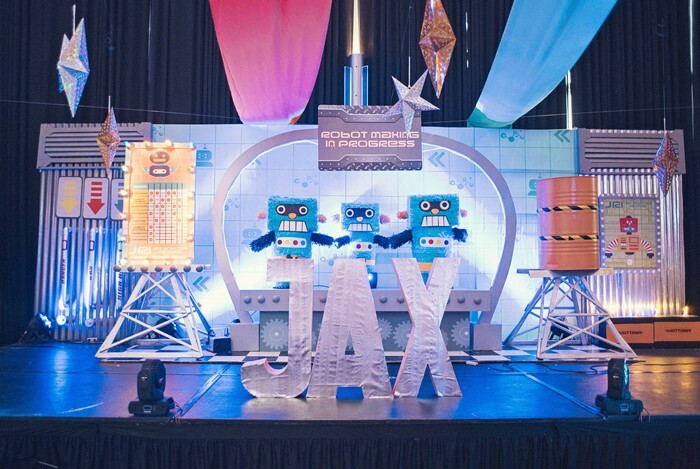 It reads: JRI, Jax Robotics Institute! I love this: the Mini Banoffee Shuttle! Ready to shuttle you off to sweet goodness! 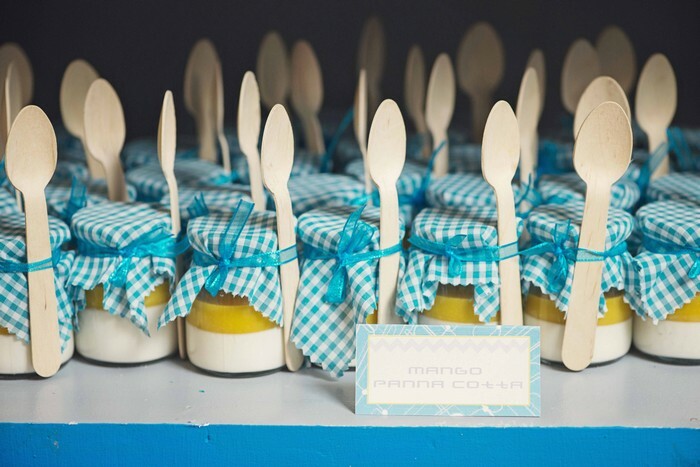 Also another of my favorite: the Mango Panna Cotta. One of the main reasons why Simply Paris’ desserts get cleared out early in every party is because its desserts have just the right level of sweetness, which is not too much. 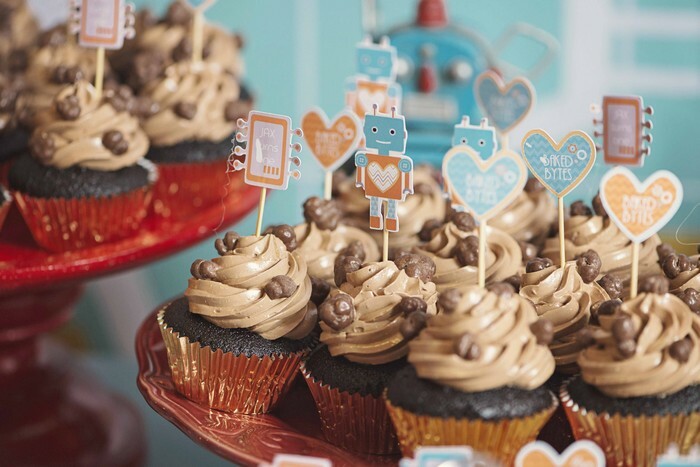 Do you see all those cute cupcake toppers? Just love all that detail. Considering how small these toppers are and how hard it was to cut them to shape, these are definitely a labor of love! 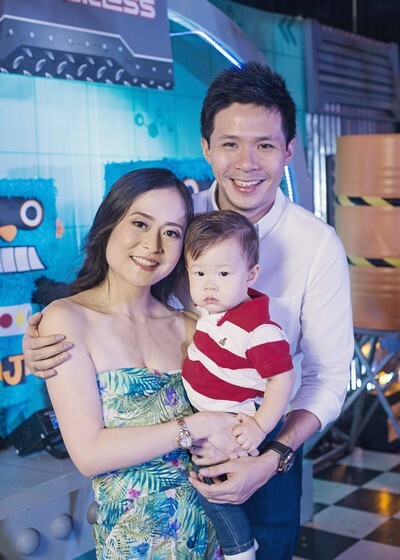 Congratulations to mommy Jiselle for organizing such a party and a very happy happy birthday to sweet Jax!